Alfred Kastler – French physicist. A French physicist who won the Nobel Prize for Physics in 1966 for his discovery and development of methods for observing Hertzian resonances within atoms, Alfred Kastler was born on May 3, 1902, in Guebwiller (Alsace, German Empire). He researched quantum mechanics, and spectroscopy as an academician at the Blaise Pascal University, University of Bordeaux, University of Louvain and Ecole Normale Superieure. He won many awards during his lifetime. His areas of research in collaboration with another French physicist Jean Brossel included quantum mechanics, spectroscopy and interaction between atoms and light. Kastler examined the different radiations that emit by exciting atoms with radio waves and light. He went on to work on the combo of magnetic resonance and optical resonance to develop the procedure of optical pumping, a procedure where atoms are stimulated in a specific substance in a way that they achieve greater states of energy. As the light energy applied in stimulating the atoms is re-emitted, the optical pumping system evolved as a significant step in advancing the development of the theory of lasers and masers. His long investigations on atomic spectra helped in the commencement of a new field of nuclear magnetic resonance. He served as an academician at the ‘Blaise Pascal University’, ‘The University of Bordeaux’, ‘University of Louvain’ and ‘École Normale Supérieure’. He remained Director of Research of the ‘National Centre of Scientific Research’ of France. He was active in peace movements, advocated for establishing Israel, opposed the rapid generation of nuclear weapons and voiced out his opinion against the participation of America in the Vietnam War. He received Knighthood (1952), the French Legion of Honor Commander (1957) and Wilhelm Exner Medal (1979) among other awards and achievements. 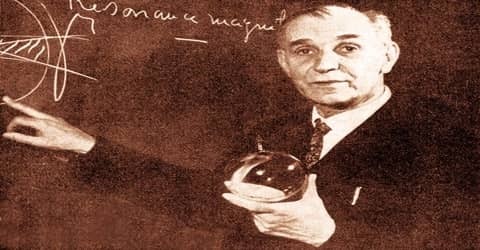 A French physicist, Alfred Kastler (French: kastlɛʁ), was born on May 3, 1902, in Guebwiller in Alsace (at that time under the German Empire, presently in France) to Fréderique Michel Kastler and his wife Anne Catherine Kastler. Kastler attended the Oberrealschule of Colmar, Alsace which later became the Lycee Bartholdi. He loved science from a young age as he was influenced by his science and mathematics teachers. He read the book on atomic structure and spectral lines which was written by Arnold Sommerfeld. The book inspired his research career in the principle of conservation of momentum. After completing high school education in 1921 he joined ‘École Normale Supérieure’ in Paris from where he completed a BS in Physics in 1926. Alfred Kastler married Elise Cosset, an ex-student of ‘École Normale Supérieure’, in December 1924. By profession, she was a history teacher in secondary schools. They were blessed with three children, Daniel (born in 1926), who became a Professor of Physics at the Faculty of Science in Marseilles; Mireille (born in 1928), who is by profession an ophthalmologist working in Paris; and Claude-Yves (born in 1936), who is a Russian language teacher at the Arts Faculty in Grenoble. From 1926 to 1931 Alfred Kastler served the Lycée of Mulhouse as a teacher of physics. He then delved into an academic career in higher education and joined the ‘Bordeaux Faculty of Science’ as an assistant of Professor Pierre Daure. He served there from 1931 to 1936. Thereafter completing his teaching duties he would utilize his free time into conducting research work. He was introduced to experimental spectroscopy by Professor Daure. Kastler worked in the area of optical spectroscopy for years, especially on Raman Spectroscopy and atomic fluorescence. 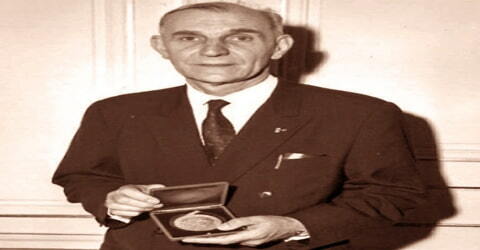 Georges Bruhat asked him to come back to the École Normale Supérieure, where Kastler finally obtained a chair in 1952. Collaborating with Jean Brossel, he researched quantum mechanics, the interaction between light and atoms, and spectroscopy. Kastler, working on a combination of optical resonance and magnetic resonance, developed the technique of “optical pumping”. Those works led to the completion of the theory of lasers and masers. From 1936 to 1938 Kastler remained a physics lecturer at the ‘Blaise Pascal University’ in Clermont-Ferrand. In 1937 he turned his focus to the luminescence of sodium atoms in the upper atmosphere. He succeeded in establishing that sodium vapor can absorb the D line of the twilight sky. He along with his colleague Jean Bricard showed that the D line is polarized when the emission method is one of optical resonance generated by solar radiation. Kastler served the school till 1968 where he trained, guided and collaborated with many students who went on to achieve great heights in the field of optics. In the midst of German occupation, French scientists remained detached from rest of the world and it was not until 1945 that they could manage to send students in other countries of the West to acquire knowledge of recent scientific developments. He conducted most of his research work at the ‘Ecole Normale Supérieure’ where post-war he and his student Jean Brossel formed a small research team on spectroscopy. The duo founded a spectroscopic laboratory the ‘Laboratoire de spectroscopie Hertzienne de l’ENS’ in the Department of Physics of École Normale Supérieure in 1951. During his long and fruitful teaching career, he trained an entire generation of French physicists. From 1968 until his retirement in 1972, Kastler served as director of research at the National Centre of Scientific Research. He was active in peace movements and in groups opposed to nuclear proliferation. Professor Kastler spent most of his research career at the Ecole Normale Supérieure in Paris where he started after the war with his student, Jean Brossel a small research group on spectroscopy. Over the forty years that followed, this group has trained many young physicists and had a significant impact on the development of the science of atomic physics in France. The Laboratoire de Spectroscopie hertzienne has then been renamed Laboratoire Kastler-Brossel in 1994 and has got a part of its laboratory in Université Pierre et Marie Curie mainly at the École Normale Supérieure. Kastler and Brossel collaborated together and researched on areas like spectroscopy, the study of the interaction between electromagnetic radiation and matter’; quantum mechanics, a fundamental field in physics which deals with methods that involve photons and atoms; and the interaction between atoms and light. Kastler and Brossel suggested the ‘double resonance method’ that combines magnetic resonance and optical resonance. Kastler then developed the procedure of ‘optical pumping’ a method where atoms are excited in a specific substance such that they achieve greater states of energy. As re-emission of the light energy that is used to excite the atoms occurs, the optical pumping system emerged to be an important procedure that aided in furthering the development of the theory of lasers and masers. ‘Laboratoire Kastler-Brossel’ played a significant role in developing the field of atomic physics in the country and remains one of the leading research labs in the field of fundamental physics of quantum systems. In 1968, Kastler became the Director of Research at the National Centre for Scientific Research, a post that he held up to 1972. He received honorary doctorates from the University of Louvain, University of Pisa and University of Oxford. Kastler was associated with ‘French Academy of Sciences’ and ‘French Physical Society’ and was Foreign Member of ‘Polish Physical Society’, ‘Royal Flemish Academy of Belgium’ and ‘Optical Society of America’. He received honorary doctorates from the ‘University of Louvain’ in 1955’, ‘University of Pisa’ in 1960 and ‘University of Oxford’ in 1966. He remained President of the Board of ‘Institut d’optique théorique et appliquée’. In 1971, he published his poetry ‘Europe, my fatherland: German songs of a French European.’ Alfred was also the first chairman of the Action Against Hunger which was a non-governmental organization set up with the aim of ending world hunger. ‘Action Against Hunger’, an NGO which was set up in 1979 by a group of French doctors, writers, and scientists with the objective of ending world hunger selected Kastler as its first Chairman. Kastler’s Nobel Prize-winning research facilitated the study of atomic structures by means of the radiations that atoms emit under excitation by light and radio waves. His method of stimulating atoms in a particular substance so that they attain higher energy states was called “optical pumping.” Since the light energy used to stimulate the atoms was reemitted, optical pumping marked an important step toward the development of the maser and the laser. In 1978 Kastler became a foreign member of the Royal Netherlands Academy of Arts and Sciences. 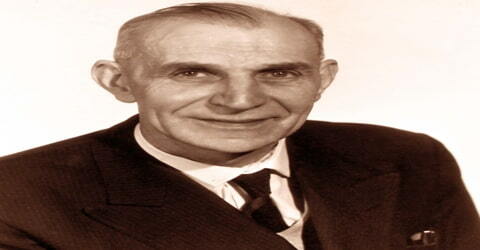 Professor Alfred Kastler died on 7 January 1984, at the age of 81 years, in Bandol, France. 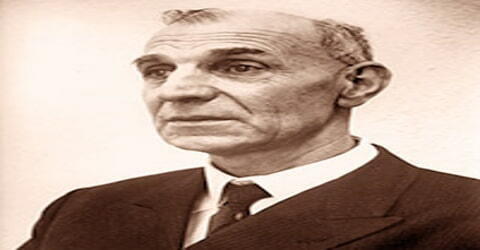 He is one of the physicists who is remembered for his contributions in the field of physics.